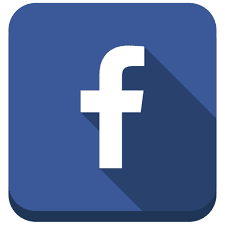 This article will show you how to download the Facebook app for your tablet or smartphone devices. Facebook app is free to download and use, and can be found in both iPhone and Android app stores. If you're interested in seeing the personal data that Facebook has stored instead, you can download your Facebook data on a computer. Open the iPhone's App Store. Click the App Store app icon, which resembles a white "A" on a light-blue background. Click on 'Search'. It is a tab located at the bottom right corner of the App Store screen. Click on the 'App Store' text box. This is located at the top of the screen. Your iPhone's on-screen keyboard will come up. Search for Facebook by Typing in 'facebook' into the text box, then click on 'Search' in the bottom right corner of the keyboard. Click on 'GET'. It's to the right of the Facebook logo. Put in your Touch ID or Apple ID password when prompted. You can either scan your Touch ID fingerprint or type in your Apple ID password to prompt Facebook to begin installing. iPhone X users can simply look at the iPhone's screen to use the Face ID feature. You can open the Facebook app when it finishes installing by clicking on 'OPEN' in the App Store (or by tapping the Facebook app icon on one of the Home Screens). Open your Android's Play Store. Click on the Play Store app icon, which resembles a multicolored triangle on a white background. Click on the search bar. It is at the top of the Play Store page. Your Android's on screen keyboard will come up. Search for the Facebook app. Type 'facebook' into the search bar. A drop down menu with related results will come up. Click on Facebook. It is in the drop-down menu.This action opens the Facebook app page. Click on 'INSTALL'. This is at the top of the page. Click on 'ACCEPT' if prompted. Facebook will begin installing on your Android. You can open the Facebook app as soon as its done installing by clicking on 'OPEN' in the Play Store (or by tapping the Facebook app icon in the App Drawer). Swipe left on the home screen and search for the App store. Scroll to and select the app store. When it opens, click on the search icon at the bottom of the page. Type in 'Facebook' on the search bar and click on enter. Select the Facebook app from the list of related apps. Click on 'INSTALL' at the bottom of the page. The app will ask for permission to access some of the information and functions on your phone. Click on 'ALLOW'. Wait patiently for the installation process to finish. Select 'VIEW'. You can now find the app in the main menu.